Since 2005, the Take 21 Film Festival has been showcasing international works from budding young filmmakers. The premise is simple — 21 directors, all under the age of 21, showcase 21 short films for an audience and jury. The fest has unveiled its lineup for the 2017 edition of the fest, and it looks to be another truly international affair, with artists representing locations all over the world. The short list of films was culled from 50-60 submissions by a jury (all of whom were, you guessed it, 21 or younger) before piecing together the final 21 films. These will all be shown at the Ted Rogers Hot Docs Cinema on May 28. Admission is by donation. 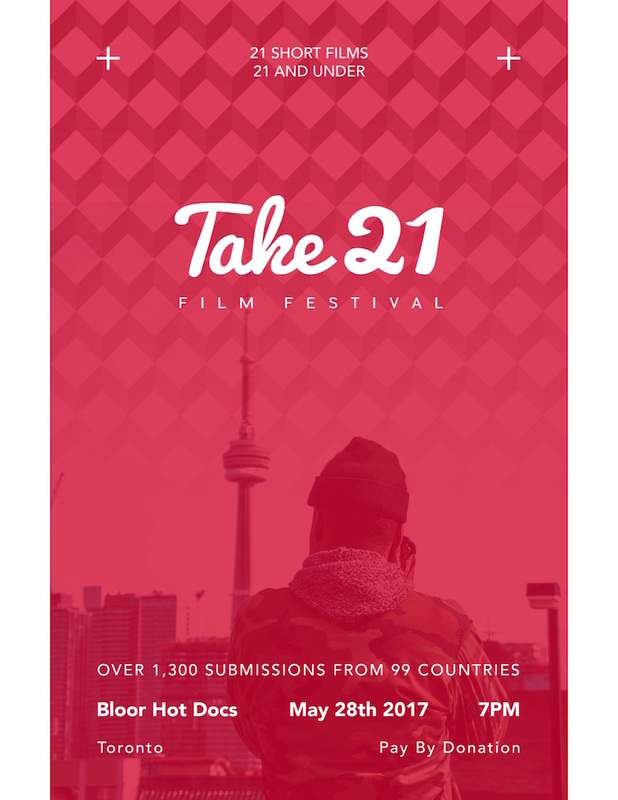 Check out the full lineup for the Take 21 Film Festival below.